Home > Shopping > Christmas Sale: Don't Get Ripped Off at Christmas! 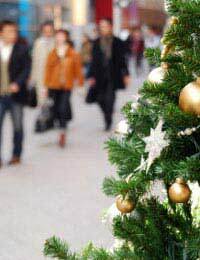 It's Christmas - and the stores are heaving with people looking out for bargains and discounts on everything from Christmas presents to food. But in the rush to get everything done by December 25, it's possible to find that you've bought something the wrong size, or that when you test it, it won't work. What are Your Rights with Sale Goods? Every year consumers go mad at Christmas, spending millions of pounds on Christmas presents for friends and family in the now familiar pre and post-Christmas sales. The first thing that you should remember is that just because there’s a 50% discount on something you want to buy, that doesn’t mean that your rights are in any way different in the Christmas sales than they would be if you bought all of your presents at full price in October. You are still entitled to goods which fit the description that’s given of them – so if you buy an item that’s described in a certain way, for example a DVD that should play on all-region DVD players, you’re entitled to your money back if you later find out that it refuses to play on your DVD player. The items you buy in the Christmas sales must work, too. If you treat your friend to a cool gadget and she texts you on Boxing Day to tell you that it’s refusing to cooperate, you are well within your rights to take it back to the shop. And don’t let them tell you that the fault is down to the manufacturer to repair – legally you have a contract with the shop, not the manufacturer. It’s a good idea to keep all receipts for presents that you buy until you’re sure that the recipient is happy with them and they work. If your mum doesn’t like the scarf you bought her, you are on dodgy ground unless you have a receipt and the shop that you bought it from has a returns policy that gives you extra rights. They are only obliged to accept goods back for exchange or refund if they are not of satisfactory quality (that is, they are faulty). If an item just doesn’t fit, or isn’t appreciated, you are pretty much at the mercy of the shop’s returns policy. Most reputable high street retailers have a money back policy for 28 days or so but if this is important to you, check before you buy that you’ll be able to return the item if it’s not liked. How Much Refund am I Entitled to? This one causes confusion, but basically you are entitled to a refund of whatever you actually paid for a faulty item – unless you have no proof of payment in which case you may have to accept the current price in the shop. This one catches people out who buy at full price and then find that an item is reduced the following week. Always, always keep your receipt when you buy Christmas presents because it prevents an argument with a shop manager over your rights. If you have no proof of purchase at all, the shop is also completely within its rights to refuse to do anything – after all, you could have bought the item anywhere if it’s a popular branded item. If you have another proof of purchase like a credit card bill with the item clearly referred to, you may be able to use this as your proof of purchase but all in all it’s best to hang on to the receipt until you’re sure the recipient is happy with their gift! If you order something online, but then you find it cheaper elsewhere or realise that your brother already has that particular video game, you may still be able to use current legislation to get your money back. You are legally entitled to a full refund of your money if you return an item or cancel an order for any goods bought over the internet within seven days of the day that you bought it. How accurate do the contents stated on a garment label have to be? And where it was made?I'm alarmed that fur seems to be becoming more popular, but am stunned that 2 items I've seen in the last week don't state fur on the label!Firstly, some shoppers who aren't sure will assume its faux as its not on the label. Secondly, some people are allergic (some severe) to animal hair. On top of that, one of the items didn't state where it was made! Isnt this illegal? If you think something has been incorrectly labelled you should report it to Trading Standards. The Textile Products (Labelling and Fibre Composition) Regulations 2011 (SI 2012 No.1102) state a requirement to clearly label the non-textile parts of animal origin in textile products. However products containing a mixture of fibres from sheep’s or lambs’ fleeces and certain fine animal hairs (viz alpaca, llama, camel, cashmere, mohair, angora, vicuna, yak, guanaco, beaver, otter) may either be described as ‘wool’ or the exact nature of such fine animal hairs may be specified. How accurate do the contents stated on a garment label have to be?And where it was made? I'm alarmed that fur seems to be becoming more popular, but am stunned that 2 items I've seen in the last week don't state fur on the label! Firstly, some shoppers who aren't sure will assume its faux as its not on the label.Secondly, some people are allergic (some severe) to animal hair. On top of that, one of the items didn't state where it was made!Isnt this illegal?